Take the classic butternut squash soup and add exotic East Asian flavors for a new twist on a traditional comfort food. 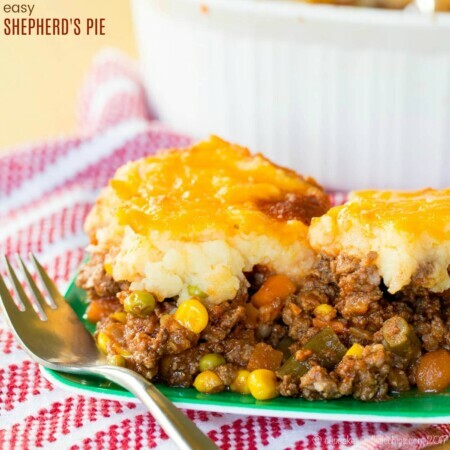 Whether you are vegetarian or vegan all the time, do the Meatless Monday thing, abstain from meat on Fridays during Lent, or just want something delicious, #SundaySupper has a recipe for you with an entire menu of Meatless Meals. Take the classic butternut squash soup and add the exotic flavors of Asian cuisine and you get a new twist on a traditional comfort food with this rich and flavorful (and also vegan and gluten free) Thai Coconut Curry Butternut Squash Soup. I mentioned this ages and ages ago, but I was baptized and brought up Byzantine Catholic. All of the beliefs are the same as Roman Catholics (which is what most people are referring to when they just say “Catholic”), but some of the practices and traditions are a bit different. For us, Lent doesn’t start on Ash Wednesday, it actually start on Monday, and not only do we abstain from meat, but we also abstain from dairy on the first day of Lent and Good Friday. Other than shrimp (which I hated growing up), my family has never been the biggest seafood eaters, and we are most certainly not vegan. I grew up on meat and two sides or ground beefy-type casseroles and such, never beans or tofu or anything like that. If there was no meat, we most certainly had dairy – cheese ravioli, pizza, grilled cheese, pierogies with sour cream. So for us the first day of Lent meant lots of Pop Tarts (surprisingly most varieties are dairy-free – weird), Campbell’s tomato soup, bananas with peanut butter, Jell-O, and for dinner, always Chinese takeout – shrimp or veggie fried rice or lo mein (and to be honest, for me it was white rice and soy sauce – I was a super picky kid). And the crazy part of it is that none of us really likes Chinese takeout. My mom has stuck to this, never really branching out to explore other dairy-free seafood or vegan options. Honestly, she is kind of like a toddler when it comes to trying new foods, turning up her nose and letting out and ewwwww if she doesn’t like something, or thinks she won’t like it. Luckily I have broadened my horizons in the meat- and dairy-free area – mushroom barley soup, lemon garlic shrimp and broccoli over brown rice, fish tacos with Mango Avocado Salsa. And this year, it was this Thai Coconut Curry Butternut Squash Soup. I can guarantee you that mom wouldn’t touch it (the words “Thai” and “curry” elicit an “ewwww”). And I can also guarantee you that she is totally missing out. I’ve had the idea for this soup in my head for, I don’t know, a year and a half. Why I waited so long I’ll never know, because now I want to keep eating it. Mr. I Don’t Like Soup liked it, and The Bug and I ate it twice this week (the second time, The Hubby wasn’t home for dinner and the two of us polished it off). I’m willing to place bets even Baby Smiles would have eaten it, but I was a little hesitant to put curry in his baby belly just yet. Butternut squash simmered in coconut milk and pureed makes it rich and creamy, peanut butter also adds to the smooth, luxurious texture, and Thai red curry paste brings in the exotic flavor and a bit of warmth, but not overwhelming spice since fit is balanced by the natural sweetness of the squash. A steaming bowl of Thai Coconut Curry Butternut Squash Soup is so satisfying and comforting. I know I’ll be making this over and over! 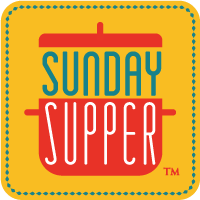 Check out all of the other Meatless Eats from the #SundaySupper gang! Do you have meatless meals once a week, occasionally, or are you always meatless? Add the squash, onion, and a pinch of salt and pepper. Cook for about 5 minutes, or until the onion and squash are starting to get tender. Add the garlic, ginger, and curry paste, and saute for another minute or two, until fragrant. Add the coconut milk, cover, and bring to a simmer. Simmer for 20-25 minutes, or until squash is tender. Puree with an immersion blender, or in batches in a blender or food processor. Return soup to the pot, return to a simmer and stir in the peanut butter and soy sauce or tamari. If thicker than you desire, add water or vegetable broth to thin it out. My son is allergic to peanuts. Do you think sunflower butter would work as a substitute??? This sounds fabulous and I can’t wait to make it! I’ve never used sunflower butter, but if it has the same consistency as peanut butter, it’s certainly worth a try. Good luck! 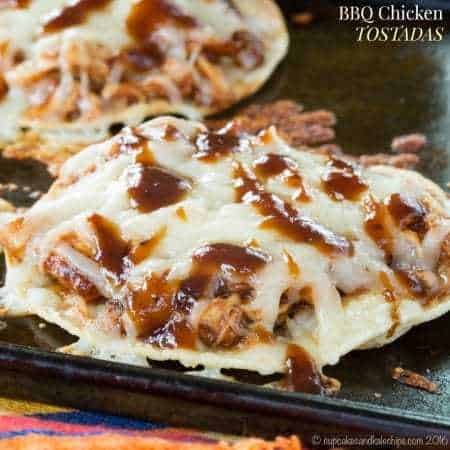 Very nice recipe, and quite tasty. I think it’s worth mentioning, however, that most store bought Thai curry pastes are not vegan… not even vegetarian. Many have shrimp paste in them, and vegans should seek out vegan brands, or make their own. I recently made a similar soup with sweet potatoes, but I love that you added peanut butter! Fabulous idea! This looks so rich and filling. Perfect for a meatless meal. The peanut butter adds a little rich texture. I have to try sweet potatoes. Someone else mentioned that. I make something similar that has an Indian spice spin …. it is SO good–can’t wait to try your version! I was actually thinking of going with more of an Indian curry, but wanted to try the Thai version. I’ll have to try the Indian spices. My daughter loves Thai flavors she would go crazy over this! Your soup looks delicious. I can’t wait to give it a try. That’s my mom. She doesn’t realize all curries are different! I love your thai twist to this classic dish. We love butternut squash soup so this is definitely going to be making an appearance at our table. Thanks! Give it a try. I love butternut squash soup, but needed to shake it up a bit! I love Thai food and this delicious soup is right up my alley 🙂 Love the butternut squash and can totally imagine the balance of flavors in this! Thanks Soni, it does complement nicely! I have some Thai red curry paste I’ve been meaning to use up. I’m thinking this delish soup is the way to do it! This reminds me of the sweet potato one I made my mom. I’m pinning this for later nosh! Oooh, sweet potato would be awesome! I really want a big bowl of this soup right now! YUM! I have a friend whose husband is Orthodox Catholic and they don’t eat meat or dairy for the whole 40 days. A few years ago she was in the hospital for surgery so a few of us volunteered to make meals for the family. Of course, it was lent! I know you won’t be surprised to hear how many vegetarian recipes include cheese, so that was a big challenge. 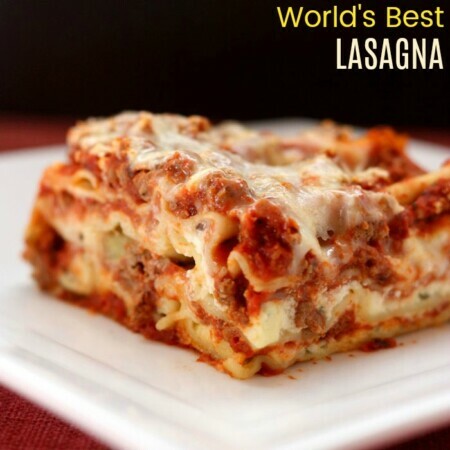 But I persevered and found a few great recipes online – some I still make! – while researching what we could cook. I love the flavors of your delicious, creamy soup, Brianne, and there’s a butternut squash in my vegetable bin calling its name! Wow, for someone very NOT vegan, 40 days would be tough. That is so great that you helped out the family, despite the dietary challenges! I actually started with 1-2 tablespoons of the curry paste and thought it needed more. You can always step it up, but Thai curry is not so much spicy as just very flavorful. Try adding a little at a time. I’ve experimented with pureed soups all winter, I’m a pro now, this is a great dish! Love curry! WOW this looks and sounds so good! I have really been into Thai flavors lately so I will definitely have to give this a try! 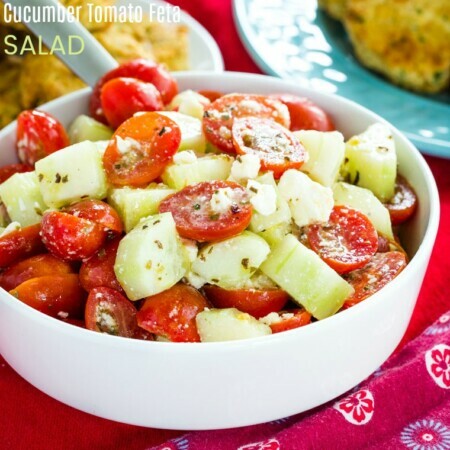 It is a great way to get in lots of veggies! So funny because my mom wouldn’t touch it either because of “Thai” and “curry”. That’s okay, it would be more for me. And what a beautiful color of this soup. It’s making me hungry just looking at it. Oh those silly mothers! Thanks, I loved the bright orange too! It’s always so interesting to me to learn how different faiths observe Lent. Thanks for sharing that with us! Your soup looks heavenly to me. I make a similar soup with carrots, but butternut squash would be so much better. Pinning!! Ooh, I bet carrots would be interesting as well! Thai soups are so delicious! 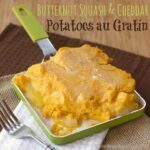 I can’t wait to try yours with butternut squash. I actually have been on a kick with adding Thai flavors to soup! It is so good. Thanks, it is really good together. Silky soup…mmm…all those flavors. I can smell it over here! It did have a wonderful aroma in the kitchen! As a Catholic, I will love enjoying this soup on Fridays during Lent. Anything with “Thai” in the name is guaranteed to be devoured by me . . . my second favorite cuisine after Italian! Thank you for sharing! Thai and Italian are both wonderful cuisines for finding meatless inspiration. I’ve never heard of abstaining from dairy, but we always had to fast on Ash Wednesday and Good Friday… blech! This soup looks fantastic for any day of the week though! Yep, I could eat this any night, too! This could be my new favorite squash soup! I adore Thai flavors and this must be a winner! Gotta have a change from the traditional squash soup sometimes. your Thai Coconut Curry Butternut Squash Soup looks fabulous! I can see myself and my family just diving into that! yum!! Thanks Alice! Yes, I think it’s even a good one for the kids! Yum! Your soup is so me! 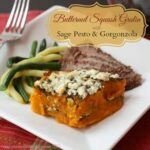 I love butternut squash and all of the flavors you have going on in it, is perfect!! That’s exactly what I thought – combined some of my favorites that I had never seen together before! Thanks Shaina! Funny you say that, I think it’s easier to photograph vegetarian dishes since I usually have to wait till I have leftovers the next day, and meat doesn’t look so good then. What a great spin on Butternut Squash Soup! Gotta change it up sometimes! WOW! What a fantastic recipe! I am bookmarking this, now that we are going into winter down here, I’d love to try it! Thanks Manu. It is really good. Only on the first day and Good Friday, but it still takes effort when you live on cheese and Greek yogurt like I do.